From Argentinian comedies to Spanish classics. Latin American cinema boasts unique history, extreme diversity and a rich culture of storytelling. It’s not often we get to experience the exceptional talent that comes out of this wonderful region. Thankfully, Australia’s largest festival of Latin American cinema sets out to bring more of this culture in cinematic form to Australian audiences than ever before. We caught up with Festival Manager & spokesperson Paulette Arvizu to fill us in on what to expect from this year’s Cine Latino Film Festival. We're lucky to have many film festivals here in Australia - what sets this festival apart from others? This festival represents nine different countries with the 26 films we have. Latin America might be seen as one thing, but there's all these different stories and films that come from all these different countries, countries as small as Dominican Republic - I mean how many films from the Dominican Republic have been screened in cinemas here? Pretty much none. It's a really good opportunity to see these stories from countries that have never been presented on Australian screens and it’s that specific difference about this festival that I think is really interesting. Are you able to describe what the Latino culture is like in Australia? Lately there's been a lot of people from Latin America coming over. In the past 10 years or so, it wasn't a very popular destination; everyone was looking to travel and work in countries like the US, Canada and Europe, but now there’s a much bigger community here in Australia. There’s more Latin American events, street festivals and restaurants than ever before, and they're really bringing the culture to Australia. This is the first time the festival will be held in Perth, what was it about Perth that made you decide to bring it here? We actually have the Spanish Film Festival in Perth and that’s been really successful, so we thought there's definitely an audience for Cinema Latino in Perth, especially with the introduction of Perth’s newest Palace Cinema in Raine Square. The festival however has been running nationally for two years with the exception of Perth and we just thought it was time to finally bring it here due to the high demand from other festivals. What can first time viewers of this cultural cinema expect and why would you encourage them to check it out ? All these films happen in a very specific region of the world, but they are universal stories. Whether it's love, drama, comedy or even revenge - this happens in any part of the world. People can expect to see great and different stories, just to see how colourful and different Latin America is. The program has also been divided into sections to keep it diverse. We have the Argentinian section, which includes eight films as they are one of the biggest film producers in Latin America. We also have a contemporary selection that showcases the newest and best films, a Cuban retrospective, and three documentary films. What's the process behind selecting the films for the program? We have a committee that travels to the biggest festivals around the world - Cannes, Venice, Toronto - and they’re looking for good quality Latin American films. We also do our own research, what films have been released in Australia and which ones were successful; we’re looking for that balance between the quality of the film and its success at the box office. We also accept submissions from filmmakers and producers that hear about our festival and send us their films for consideration, so it's a bit of all three factors. What are some of the highlights from the festival and what do you recommend? 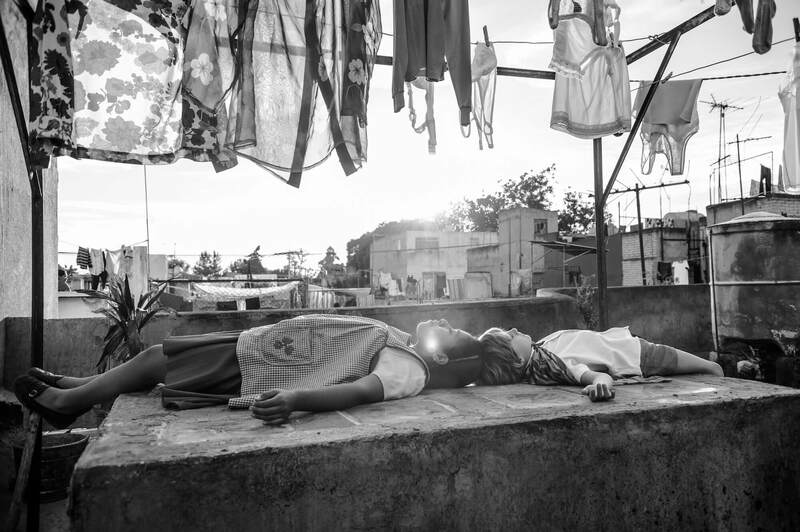 The festival will open with Roma, a new film by Mexican director Alfonso Cuarón who has been recognised for his work in big Hollywood films like Gravity, Children of Men and the Harry Potter films, but now he has come back to Mexico to shoot a film in Spanish about his childhood and it’s just an incredible and beautiful film. We are also closing the festival with his film Y Tu Mamá También, which is the last film he did in Spanish before he started doing American blockbuster films. We’re really happy to open and close the festival with Alfonso Cuarón. Another highlight for me is The Accused, and of course our special event for this year 10 Days Without Mom, an Argentinian film about a mother who decides to take a holiday away from her family leaving her husband at home to deal with their unruly kids. The Cine Latino Film Festival runs from Thursday 6 December until Sunday 16 December at Cinema Paradiso in Northbridge and Palace Raine Square. Check out the full schedule, tickets and more information about the festival here. Don’t miss out! All images courtesy of Anarchy PR. Hi, I'm Ryan. I'm 21 years old and a local Perth boy. I love my footy, music, nightlife and of course a solid cup of coffee. Since graduating in 2017, I've been lucky enough to gallivant across the world and explore a variety of different cultures. However, I've come to the conclusion that there truly is no place like home; whether its our exotic beaches, dazzling city or generous community, you won't find this anywhere else.